Proto Restaurant Group owner and his family have always been involved in producing high quality food and cuisine and over the last few years have been working hard to achieve organic status for their land in Cyprus in order to produce organic ‘Costa Oil’ – the oil will be imported and marketed here in the UK. 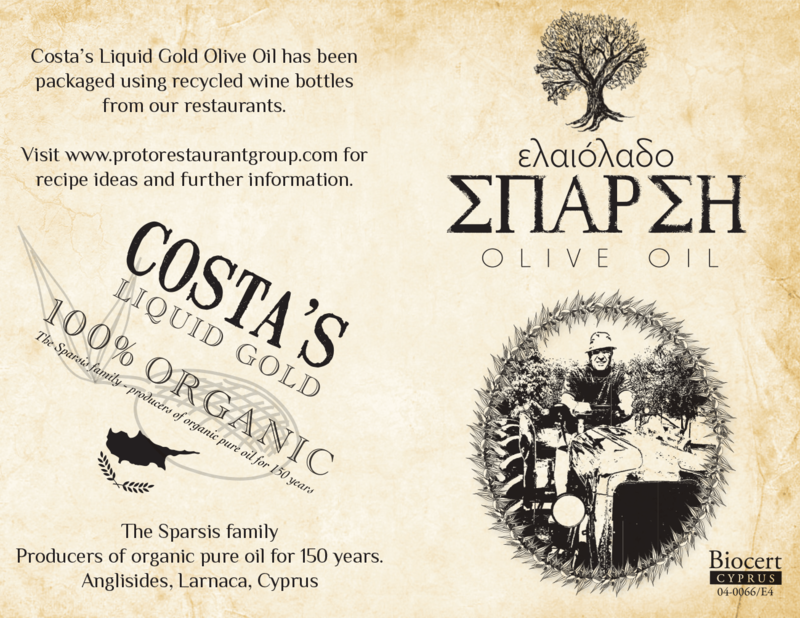 We were briefed to create the logo design, corporate identity and packaging for Costa Olive Oil to reflect the brand. The oil would be decanted into used wine bottles – minimising waste to landfill. 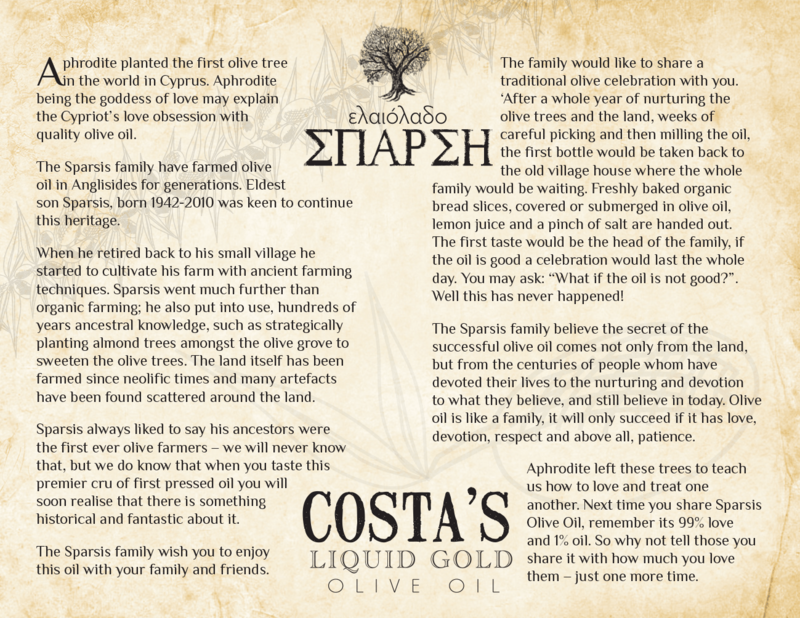 The Sparsis family believe the secret of the successful olive oil comes not only from the land, but from the centuries of people whom have devoted their lives to the nurturing and devotion to what they believe, and still believe in today and they wish you to enjoy this oil with your family and friends. 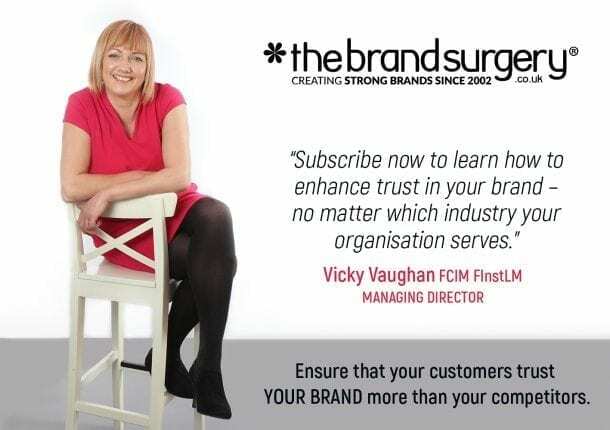 Creative design consisted of logo design, corporate identity and packaging. We illustrated an image of his late father which we created from a photograph. We then drew one olive and replicated through the packaging. We experimented with a selection of fonts to achieve a rustic look and feel for Costa Oil. Once we had agreed on the logo, we matched the rest of the packaging to match. We used a mix of ink drawing and Adobe illustrator drawing to achieve the effects you can see. Combined with a mix of graphic design we achieved this rustic look and feel. The creative design was used on packaging, a roller-banner and press advertising to promote Costa Oil. You can purchase the oil on the Proto Restaurant Group online shop.